That is to say, their beliefs about their pain can actually maintain their pain or even increase it. Beliefs such as ‘bending is bad for my back’, ‘if I feel pain in my back I must rest and not move it’, and ‘I must sit up straight and engage my core muscles to protect my back’, are all common ideas in our present culture and can be detrimental to the recovery of back pain. They can alter the way we sit, stand, move and bend, can influence our activity levels, and can start to tell the brain that we have a serious problem — even when we don’t. These beliefs come from a range of sources such as ads on television, family and friends, past experiences with pain, and even from well-meaning, but potentially ill-informed health care professionals. For most of us, when we experience low back pain, the best thing to do is to keep active in some gentle way such as walking, swimming, gentle stretches, etc. See your Physio as soon as possible to seek treatment and advice about your back. It is also good to note that for a large number of back pain sufferers, simply getting an x-ray or MRI may not be of any benefit in determining the cause of the pain. Very rarely is low back pain caused by serious damage to the physical structures. More typically, low back pain is usually caused because the back has been strained and sensitised. This can be caused by a whole raft of factors such as poor postures and movement patterns, poor sleep, stress, and even constant worrying about your back pain can make it worse, as the brain magnifies what we focus on. So what can you do about the pain when it isn’t related to any structural damage? The first thing to understand is that you’re going to be ok, even if the pain is severe we know that people get better. Keeping this in mind you can be a little more comfortable knowing that you will recover if given the correct advice and you follow through with it. Hands-on treatment must be combined with the correct exercises as well as a thorough examination to determine all the factors that may be causing the pain, in order to recommend the most beneficial treatment options. Even if an x-ray or MRI does show wear-and-tear, disc degeneration, or ‘arthritis’, these changes are most likely not the cause of the pain. Identifying what factor(s) are likely to have set off your pain and what may be continuing to drive the pain is the key to making a recovery. Have you been under a significant amount of stress recently? Working long hours? How much or little do you move at work? Are you getting less than 6 hours of quality sleep per night? Not exercising as much as usual, or at all? Are you worried that something is seriously wrong with your back and protecting it at all costs by not moving freely? Have you been jumping from one health professional to another to get your back ‘fixed’ or ‘put back in’? These are typical stories we physios hear on a regular basis. Identifying how those factors may influence your pain is the first thing we assess. From there, we can begin to treat and make recommendations. Something as simple as going for a short walk after work a few times a week can help alleviate back pain as well as benefit your overall mental state. Doing some gentle back movement exercises is also very important and we can prescribe you exercises tailored to your particular situation. Taking the fear out of moving the low back is another important step to recovery. The low back is designed to move and bend, it actually loves to do so. We now know that it’s totally ok and healthy to bend your low back, but in a gentle relaxed manner, not in a stiff and braced way that has become so popular in the last few decades. 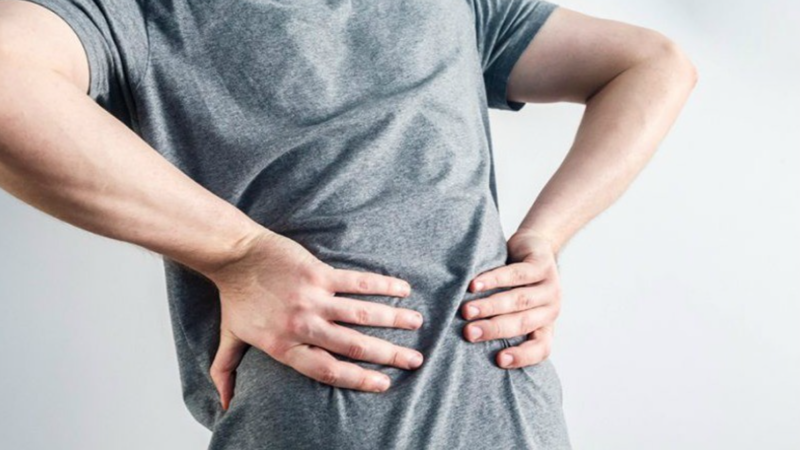 So if you are one of the many who struggle with back pain and are looking for relief, we can first help you understand where the pain is coming from, and then put a plan in place to ensure recovery and greater quality of life. You don’t have to continue to live with the pain, or simply ‘put up with it’ any longer. There is light at the end of the tunnel! Call Beachside Physiotherapy Cronulla to chat about your back pain. Neck Pain Or Tech Neck? Ice or Heat?